, is delighted to welcome the first residents to Wallis Creek. The first residents moving in caps off a busy winter period for the masterplanned community, which has also seen the first Wallis Creek Display Village homes opened in early July. The Display Village, which will eventually showcase 10 homes by six builders, now features three complete stunning new homes from award-winning builders Eden Brae Homes and Oracle Property Group. 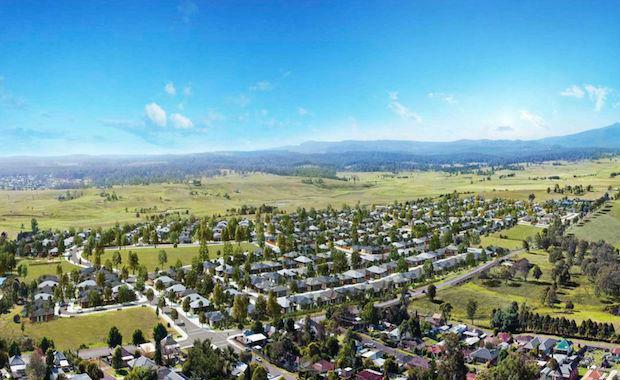 “Wallis Creek will deliver an exceptional new community for the Lower Hunter region, and we are pleased that homebuyers now have an opportunity to touch, see and experience what their smart modern Wallis Creek home could look like at the Display Village. Eden Brae and Oracle have finished three beautiful new homes and we will soon welcome new homes from more builders to the Wallis Creek Display Village,” said Mr Walker. Once complete, Wallis Creek will be a thriving family-oriented community located just five minutes’ drive from historic Maitland, and will deliver a total of 406 homes. The 56-hectare site offers a variety of living options and community facilities such as walking path, landscaped areas, children’s playground, proposed school and community centre, high speed broadband (NBN) connected to every home as well as expansive serene district views to the east of the community. Priced from just $159,000 - $194,000, the lot range in size from 450-783 square metres. “Walker Corporation’s reputation for best practice design, masterplanned community development and town planning, combined with the personal approach of a family business, provides an appealing mix for homebuyers eager to create their dream home in the heart of the connected Lower Hunter region, less than 5km from the Hunter Expressway,” added Mr Walker.